Do you enjoy having bacon with your breakfast? There is nothing better than making an omelet with a few fresh eggs or even homemade pancakes and having some bacon. If you have some pork belly, then you have the main ingredient to make homemade bacon. The process to make homemade bacon can be done in lots of ways. 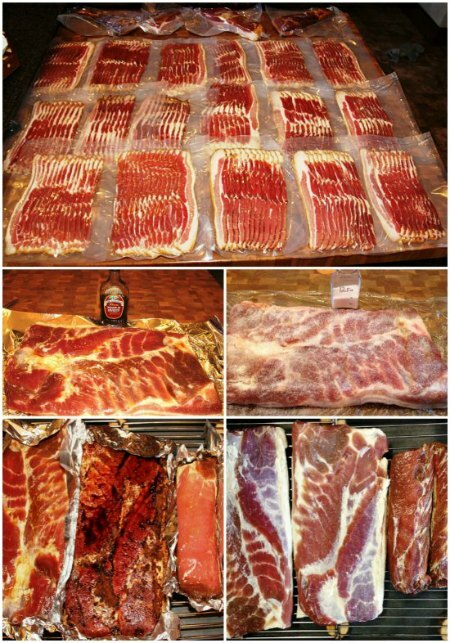 A simple method that will result in some really tasty bacon is to use a dry rub cure and the cold smoke method. You can prepare the bacon cure for this task by utilizing a simple dry cure bacon calculator. Once the curing process is done, then you will need to put the meat in a smoker. This is the one step that is the most important when you want to make homemade bacon. Just make sure to allow the bacon rest for a few days in the refrigerator to allow the flavor to fully develop.